This year marked the 119th year for Audubon’s Christmas Bird Count (CBC), an early-winter bird census where thousands of volunteers across the U.S., Canada, and many countries in the Western Hemisphere go out over a 24-hour period on one calendar day to count birds within a 15-mile diameter circle. This long-standing program continues to be a terrific platform to engage the public in scientific monitoring, gathering date that adds to our understanding of bird species distribution and populations. Bird Conservancy of the Rockies helped organize two Christmas Bird Counts in Colorado—at Barr Lake and Fort Collins—and we are excited to provide these reports from the field! American Three-toed Woodpecker observed in Lory State Park. Photo: Andy Bankert. 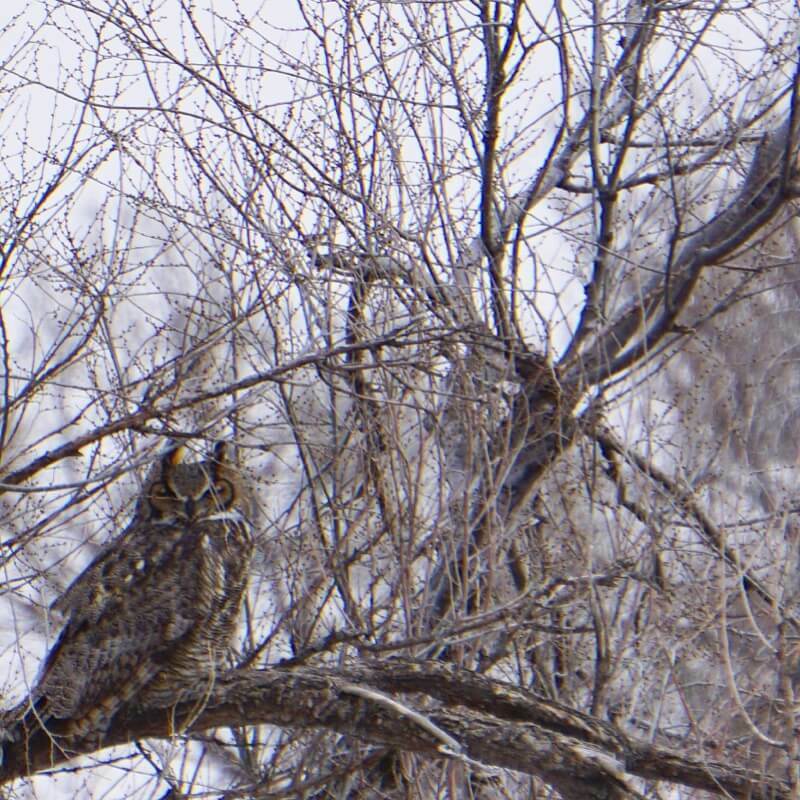 At first glance, resident birds along the Front Range are less conspicuous during the short days and low temperatures of mid-winter. In many ways, the silence of a winter morning is a far cry from the dawn chorus in spring. Yet, venturing outdoors this time of year is rewarded by a surprising variety of bird life. Ever-changing winter weather interacts with the life history of the species, bringing a unique mix birds to the Front Range every year. A mid-winter outing to discover how many and which kinds of birds stay the cold season has become a tradition that stretches back to 1901. 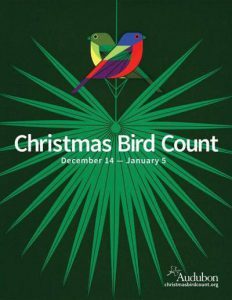 Beginning in 1947, Fort Collins has the longest continuous Christmas Bird Count in Colorado. This year, the Fort Collins count was on Saturday, December 15th. It was a pleasant day with 88 participants, a record high turnout. Several birders were rewarded with new “life birds” and the team observed a record high of 103 bird species for the Fort Collins count. The “goose whisperers,” Bill Flowers and Luke George counting section D.
The count day was particularly good for several species that normally migrate away from northern Colorado by this time of the year, including the Gray Catbird, Brown Thrasher, Green-tailed and Spotted Towhees, and Yellow-rumped Warbler. 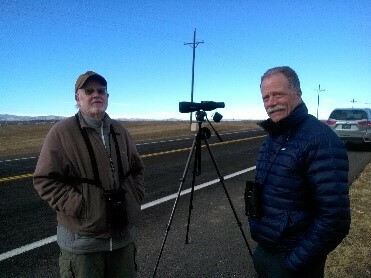 Our team recorded a new species for the Fort Collins count, a female Northern Cardinal, and rarities included California, Iceland (Thayer’s) and Lesser Black-backed Gulls, Barn, Northern Pygmy-and Long-eared Owls, Yellow-bellied Sapsucker, American Three-toed Woodpecker, Peregrine Falcon, Winter Wren, Lesser Goldfinch, Swamp Sparrow and Harris’s Sparrow. 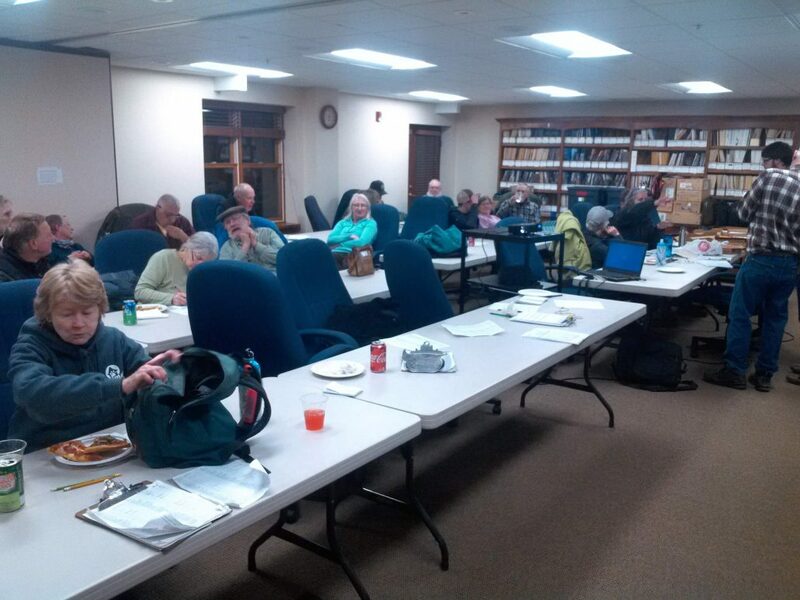 Christmas Bird Count participants gathering for the Fort Collins tally at Bird Conservancy’s offices. The Fort Collins team observed record high counts for 15 species. 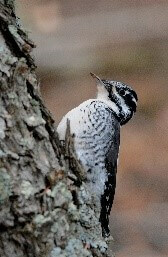 Some of the high counts may be the result of having more people in the field and ability to cover some areas better, including Downy and Hairy Woodpeckers, Black-capped Chickadees, Red- and White-breasted Nuthatches, and Townsend’s Solitaires. Other high counts may be the result of fair weather and species not yet migrating, such as Pied-billed Grebes, Marsh Wrens and Swamp Sparrows. Record high counts for Bushtit and Wild Turkey follow patterns of increasing trends for the Fort Collins populations, whereas record lows for American Coot and Rock Pigeon follow patterns of population declines. Finally, the Lewis’s Woodpecker and Ring-necked Pheasant have all but disappeared, over the past 40 years. Barr Lake held its count on the final day of the year Monday, December 31st. While we were hoping for beautiful weather, Mother Nature decided to end the year with exciting weather conditions. The temperatures hovered in the high teens as dark ominous clouds produced snow flurries throughout the day. If the snow and cold temperatures weren’t enough, a cold, battering wind challenged even the hardiest of birders. This year’s count had 24 participants ready for the task at hand, which is counting and identifying all birds seen throughout the day. Eight teams scoured the 15-mile diameter area for five hours and—even with frozen hands and feet!—were able to observe a total of 72 species. Although the weather was not “perfect” birding weather, some groups were greeted with species not before seen on a Barr Lake CBC. These included three Double-crested Cormorants and a Spotted Sandpiper. Other rarities this year included a Rusty Blackbird, Common Raven, American White Pelican, and Tundra Swan. A total of 60 American White Pelicans were counted on the south shore of the lake which is a very high count for that species during this time of year. Bird Conservancy staff in the Brighton office have been observing a very unusual amount of Pelicans recently and were excited they too braved the harsh weather and allowed us to count such a high number. Another unforgettable moment was when a Wilson’s Snipe flew around our group while two Killdeer gave alarm calls at our presence. For a brief moment, it brought back memories of summer and warmer weather! THANK YOU to all of the group leaders and participants for donating their time and expertise to make for such fun and successful CBCs! We look forward to seeing you again next year!